DETAILS: Featured on The Today Show! 138 Beach Drive is a brand new, luxury Gulf front home located in Gulf Pines, a quaint community located in Miramar Beach. This 7 bedroom/ 6.5 bathroom home boasts 5 master bedrooms, a gulf front infinity pool and spacious accommodations for 31 guests. 138 Beach Drive is a sophisticated, professionally decorated four story home. Grab your popcorn and favorite board games, the first floor offers a fantastic recreational room ideal for a friendly game night or movie night. With a ping pong table, shuffle board, foosball table and 43" TV, the game room has everything you need for a fun night in! The second floor features an open concept kitchen, living and dining room. The dining table seats up to 10 guests with 9 additional seats at the bar making dinner a family affair to remember! In addition, you'll find two master suites on the second story, each with a private bathroom. Enjoy grilling out on the second story deck with built in grill, sink, mini fridge, and 43” TV. Views of the gulf from this floor can't be beat. The third floor has three king bedrooms and a set of hall bunk beds. The washer and dryer is also located on this floor. Two of the king suites have the most breathtaking gulf front views! Guests will love relaxing on the spacious balcony in between the two suites. The fourth floor serves as the perfect kids getaway with a bunk room and 43" TV. 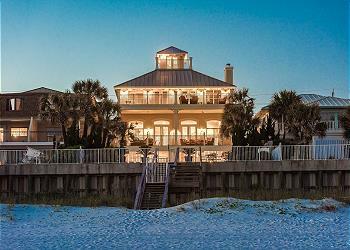 The home is located in the heart of Miramar Beach, close to an abundance of shopping, restaurants and night-life, and literally steps away from the white sand beaches of the Emerald Coast. This house is truly a luxurious oasis on one of the most beautiful and coveted beaches in the world. 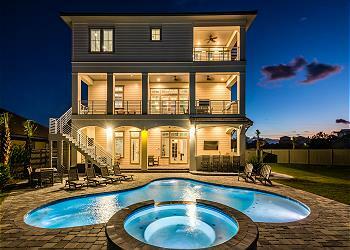 Check availability and book this beautiful gulf front home with 360 Blue today! AMENITIES INCLUDE: 7 adult bikes provided, media room, heated pool. This property comes with 14 dedicated parking spots. Complete Clean Linen Participant - ALL linens, including comforters laundered upon every checkout. The house was wonderful!! We had a group of 26 in town for a small corporate retreat weekend. We LOVED all of the space in the house and were glad we paid for the pool heat in Feb :). The 360 Blue staff were very helpful and accommodating with any questions we had. Everyone had a great time and we really enjoyed our trip. Thank you! We are so happy to hear how much you enjoyed this spectacular home for your retreat with us in Miramar Beach! This home is perfect for large gatherings and we are thrilled that you all felt at home! Thank you for staying with 360 Blue, we hope to see you again soon! We wanted a house that could comfortably fit our family for my sisters birthday!! This house is perfect. 5 master bedrooms and a whole floor of bunk beds!! Every child’s dream! We had a a great time and couple hiccups with electricity and fireplace but 360 was on top of each issue and had someone out quickly to fix the issues. We are so delighted that you all enjoyed your stay with us in Miramar Beach and we especially loved the photo you shared with us! We agree that this home is perfect for larger groups and the accommodations are second to none! Thank you for staying with 360 Blue, we hope to see you again soon! Beautiful house! We had a wonderful family Thanksgiving! Thank you 360 Blue!! 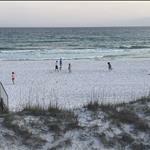 We are so glad that you and your family had a wonderful Thanksgiving vacation with us in Miramar Beach! Thank you for staying with 360 Blue, we hope to see you again soon! Loved the house. Unfortunately red tide was a distraction for our stay. We are so glad that you enjoyed 138 Beach Drive for your vacation this year! We are so sorry for the red tide but we hope to be able to host you again next year and hopefully without that pesky red tide! This house exceeded our expectations. It was well worth every penny. We had an absolutely perfect wedding weekend and this house was exactly what we were looking for. We are beyond thrilled that you enjoyed your time here with us in Miramar Beach! We are so glad that we were able to host this special occasion and the photo you shared is gorgeous! You both looked amazing! 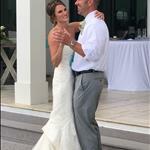 Congratulations to you both and we all wish you well! We look forward to seeing you all again soon! We love to see special memories being made in our homes! Thank you for sharing your picture! The home’s beautiful and spacious design make it perfect for large families and groups. The amazing beachfront views and large deck cannot be beat! Ideal for watching those gorgeous sunsets as well as dolphin sightings. The large fridge, upscale appliances, and the convenience of having 2 wine fridges appoint the kitchen as one of our favorite gathering places in the home. And cleaning up is super easy with 2 dishwashers! The spacious living areas and TVs throughout are additional factors that make this the ideal place to spend your family vacation. We are so glad you found the mattresses comfortable and apologize that the living room furniture didn’t quite meet that same level. We agree that the location of the home provides for plenty of delicious dining options! Please come back and let us exceed your expectations again soon! 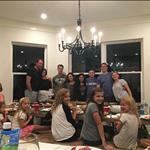 We had four families with a total of 8 kids staying at the 136 N. Beach drive residence. We thought the accommodations were amazing, and that the pool and beach were perfect. The weather could not have been better. We had outstanding rooms, the kids were situated perfectly, and and a kitchen that somehow allowed us to eat practically every meal with each other. Wow, what a property! We had an experience of a lifetime. We could not be happier to hear that you had such a wonderful stay. Memories like this are exactly why we are here! This beautiful home provides the perfect location for the perfect beach getaway. We loved having you with us and we hope to see you back soon! Wonderful time with family. Plenty of space, could be an excellent, excellent vacation home. Wish I could give the home 5 stars - a few issues - Master bedroom very warm, issues with rec room A/C, home audio didn't work, lanai TV broken. Had maintenance out 3 times, but they didn't fix anything. Hope the owner can make repairs - home would absolutely be 5 stars. What a stunning sunset photo! You really captured the beautiful colors of our Miramar sunsets! We are sorry to hear that the property did not exceed your expectations.We apologize that we were unable to get these items repaired during your stay, but we are happy to report that the A/C issues in the master bedroom, the audio system and lanai TV have all been repaired. Thank you so much for choosing 360 Blue for your beach vacation. We hope you'll be back soon for the true 360 Blue experience! The 138 Beach House is a terrific vacation spot with extraordinary views through the house of the beach. Cleaning quality of the home was in immaculate order and the infinity pool/hot tub was amazing while looking at the beach. We enjoyed going to restaurants, stores, Crab Island and spending lots of time at the beach. I would stay at the resort again also recommend it to anyone to vacation here. What a great photo collage! It looks like you guys made memories to last a lifetime! We are absolutely delighted to hear you enjoyed your stay with us and this property so thoroughly! The infinity pool overlooking the beach really is a stunning feature! Thank you so much for choosing 360 Blue and taking the time to share your experience with us! We hope you'll be back again next year to make more memories with us! What a beautiful home! We had a lovely time this week. The 360 staff made our pre-arrival very easy...the app is great and full of helpful information. We will be back! What a great photo! You can practically hear the relaxing sound of waves crashing! We couldn't be happier you had a great stay with us, and could take advantage of our easy to use app! Thank you so much for choosing 360 Blue for your beach vacation. Be sure to come see us again soon! We thoroughly enjoyed our stay at 138 Beach Drive West! Our family of 14 was totally comfortable and the location, amenities and aesthetics of the property were over the top! Also, the staff at 360 Blue could not have been more helpful or accommodating! Didn't want to leave! What a beautiful photo! You truly captured the beauty of our white sand beaches and emerald waters. 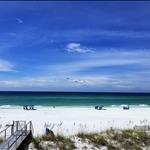 We are thrilled to hear that you enjoyed your stay in Miramar Beach with us and enjoyed the property so thoroughly. Thank you so much for choosing 360 Blue for your beach escape, and for taking a moment to share your experience with us. We hope you'll be back to see us again soon! Perfect! This house held 6 families with 11 kids and it never felt too crowded or loud. There are plenty of "basics" in the kitchen and bathrooms. The pool and beach view were amazing. The management group also checked regularly to make sure we had everything we needed which I've never experienced before with VRBOs on the past. This house is beautiful! We will definitely plan to stay again. Such a gorgeous day to spend playing at the beach! We are so happy you and your family enjoyed your stay in Miramar Beach so much! The home truly is beautiful and you cannot beat the view from the pool! Thank you so much for staying with 360 Blue and we can't wait to start planning your next vacation on the Emerald Coast! Thank you to the owner for sharing their home with us and to the Today Show for this wonderful experience. It is a beautiful home with many amenities. Great view of the Gulf and loved being steps away. The pool and built in hot tub was fabulous to watch the sunset and star gaze. Our sons just loved it and was sad to leave. Appreciated Home Away and 360 Blue for making this great vacation getaway happen. We have so many great memories. It was a once in a lifetime experience. This home truly is beautiful and we are thrilled that you and your family had such a great vacation! We are grateful to have you as a 360 Blue guest and we can't wait to have you back at the beach again soon to make some more great memories! Thank you again! We're so glad to hear you enjoyed your stay with us! Thank you for choosing 360 Blue. Be sure to come visit again soon! This house was awesome and my family really enjoyed our week long vacation here! The 360 Blue Properties representatives were very helpful which I appreciated. My family really only had great things to say about the house except for a few minor things that came up which included: we wished the surround sound system could have played music off of our phones, that the 4th floor slept the most people yet there was only one tiny bathroom to accommodate about 12 people (which was the majority of the people in our family), and that the majority of the beds in the larger bunk room on the 4th floor seemed like very small twins. Other than that, we loved the house (especially the pool and being beach front) and hope to rent it again next year!! We are so happy to hear that your family had such a great week in this incredible home! Thank you so much for your valuable feedback. We are passing it along to the home owner. We loved having you with us and hope to see you back soon! We stayed here for a corporate retreat and had an absolutely amazing time. The house was unbelievable and we will definitely be back!! What a stunning photo! The back porch view at this property is truly unbeatable! We are so glad you enjoyed your stay so thoroughly! Thank you for choosing 360 Blue for your corporate retreat. We hope you'll come back and see us again soon! this is a great house and location. the large private beach is great, the sand is white and soft, the water in mid april is refreshing and crystal clear. the pool on the deck is a great option. we had 12 and the house was great. What a beautiful day to spend at the beach! We are so happy you had such a wonderful vacation in Miramar Beach. This home does have spectacular views and we are thrilled you enjoyed it so much! Thank you for staying with 360 Blue and we hope to have you back at the beach again soon! Amazing home on the gulf with a fantastic view of the beach. Excellent house with all the luxury of home. Will be my first pick every time I'm in Destin. I would love to buy the house from the owners. What a beautiful and relaxing photo! We are thrilled you enjoyed your stay so much in Miramar Beach! Thank you so much for staying with 360 Blue and we can't wait to have you back again soon!